The Cercle de la Voile de Paris (CVP, the “Paris Yacht Club”) was created in 1858 in Argenteuil, suburb of Paris in France, on the Seine River and already a Mecca of the Parisian sailing. In 1867 the CVP organized the regattas of the Exposition Universelle, the second world fair held in Paris that gathered 56 yachts among which Prince Napoleon’s yacht. Soon, the CVP worked out its first rules, developed nautical races and provoked the competitive spirit and the progress in yacht design. In 1877, the club built the first clubhouse belonging exclusively to a nautical club in France. In 1878 some members of the CVP created « Le Yacht », the first French magazine about yachting, which was edited until 1968. Gustave Caillebotte was amongst them and one of the main sponsors. Gustave Caillebotte (1848-1894), one of the great impressionist painters, friend and patron of Claude Monet, Pierre-Auguste Renoir, Edouard Manet and Camille Pissaro, amongst others, was in love with racing yachts and was one of the best helmsmen of his time. To be closer to his yachts, he bought a property in Petit-Gennevilliers, by the famous Argenteuil Seine River. He quickly became the regatta competitor who won the most prices in France and was appointed Vice-President of the CVP in 1880. Fascinated by technology and speed, he became a very talented internationally renowned naval architect by designing the plans of 26 yachts both efficient and elegant. In 1893, the Cercle de la Voile de Paris moved to Les Mureaux. It was still exclusively a gentlemen’s club. There were 227 members who owned a fleet of 156 yachts of which more than a hundred sailed in the regattas during the Exposition Universelle of 1900, 5th world fair held in Paris that welcomed 51 million visitors. The style that was universally present in the Exposition was the Art Nouveau. The Art Nouveau (“New Art”) style began to develop in the 1880s and became fashionable in Europe and the United States during the 1890s. It takes inspiration from the natural world, drawing references from botanical studies and deep-sea organisms. Fluid twisting, curving lines and a “whiplash” effect are the trademarks of the natural art form. The art form took shape in works ranging from painting to sculpture and most notably architecture, appearing famously throughout the 1900 Paris Exposition Universelle. Structures such as the Porte Monumentale entrance, the Pavillon Bleu and the Grand and Petit Palais were largely oriented around the Art Nouveau theme. The CVP contributed to this craze for the Art Nouveau by creating the International Cup, the future One Ton Cup. The cup was designed in 1897 by the jeweller Robert Linzeler and was made by Bratiau in 1898. It is made of planished solid silver and weighs 10 kilos. It is considered as a masterpiece of Art nouveau style. The International Cup of the CVP created in 1898 became 67 years later the One Ton Cup. It had to be raced on the Seine River at Meulan, home of the CVP or in Cowes, English seaport town on the Isle of Wight, if a foreigner held the title. These regattas were at the beginning of races between one-tonner sailing yachts, dinghies, according to the 1892 Godinet rule. This “International Cup of the Cercle de la voile de Paris”, its original name, has been raced since 1907 on International 6 m JI, except for four years, from 1920 to 1923, where it was raced on 6.5m SI. After the war, the Cup was sailed about 50 times with many great foreign crews from Great Britain, USA, Denmark, Italy, New Zealand, etc. Among them were many well-known skippers such as H. M. King Harald V of Norway, Paul Cayard (5 times skipper in the America’s Cup, Star World Champion), Russell Coutts (4 times winner of the America’s Cup), etc. In 1999, the One Ton Cup was allotted to the Corel 45 class world championship, renamed IC 45, a one-design boat designed by Bruce Farr. The 1900 Summer Olympics, today officially known as the Games of the II Olympiad, was an international multi-sport event. The Games were held as part of the 1900 Exposition Universelle, in Paris. For the first time in history, sailing was part of the Olympic Games with all the races taking place at the CVP. After the First World War, the Olympic Games of 1924 organized in Paris at the CVP and in Le Havre boosted the club. During the Olympiads of 1932 and 1936, the tricolour Olympic Team was made up entirely of CVP members. Jacques Lebrun, (1910-1996), member of the CVP, competed at the 1932 Summer Olympics in Los Angeles, where he won a gold medal in the Snowbird. In 1929 Enrique Conill, vice-president of the CVP, introduced the Star, Olympic keelboat designed in the US, in Europe. Enrique Conill, of Flotte de Paris, sailing the Almendares in the 1929 Mid-Winter Championship. The first European Fleet ever represented in a Star Class Championship in the Western Hemisphere. In 1939 the global conflict did not spare the premises that, after having sheltered unfortunate refugees, were filled with prisoners, before being requisitioned by the Luttwaffe. The German Air Force sheltered pilots and technicians of the air base of Les Mureaux. Several members could still sail in a regatta at the weekend on their Sharpie (12m sailing yacht). In 1958, René Coty who was President of the French Republic at the time was a member of the CVP and granted his patronage to the centenary celebrations that gathered 190 units. The 505 (a one-design high-performance two-person monohull planing centreboard dinghy, with spinnaker, using a trapeze for the crew) was launched in 1954. Marcel Buffet, another vice-president of the CVP, won the famous 505 series world championship in 1959 and 1960. The Fédération Française du Yachting à Voile (French Sailing Federation) asked the CVP to organize the International Championship of 5,5 MJI and 6 MJI, as well as the Dragons (a one-design keelboat). The America’s Cup is a trophy awarded to the winner of the America’s Cup match races between two sailing yachts. One yacht, known as the defender, represents the yacht club that currently holds the America’s Cup and the second yacht, known as the challenger, represents the yacht club that is challenging for the cup. The America’s Cup is the oldest active trophy in international sport. One can note that the America’s Cup is older than the one Ton Cup, but was less frequently raced. The trophy was originally awarded in 1851 by the Royal Yachts Squadron for a race around the Isle of Wight in England, which was won by the schooner America. 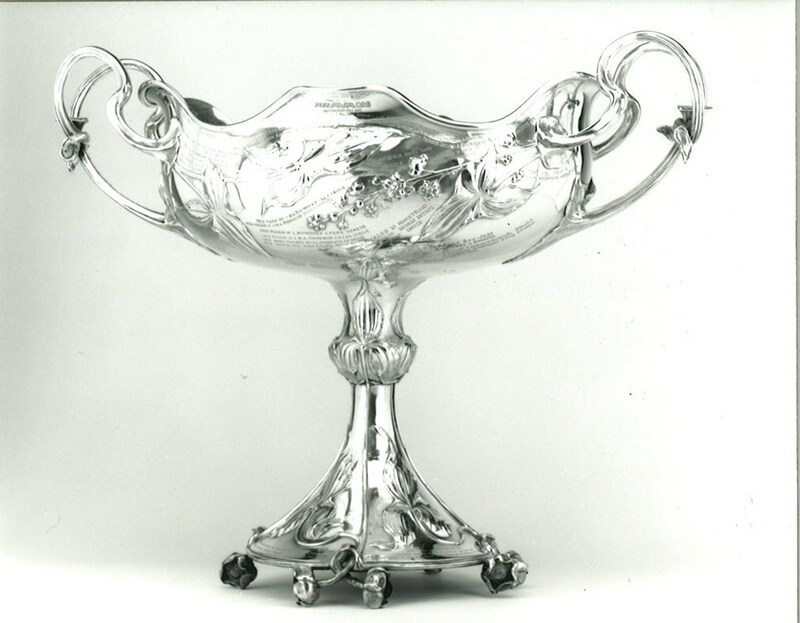 The trophy was renamed the America’s Cup after the boat and was donated to the New York Yacht Club (NYYC) under the terms of the Deed of Gift, which made the cup available for perpetual international competition. After the war, French sailors showed their interest in this prestigious trophy. As a result, the CVP became club challenger for France I (1970 and 1974) and Areva Challenge (2007). Baron Bich (manufacturer who launched the Cristal Bic also known as Bic pen in 1950) owner of France I, showed his commitment to the club by giving France I’s mast to the club which is now displayed on the grounds of the CVP Club House. It is worth noting that for the 2007 Cup, the French boat was skippered by Jochen Schümann, the 3 times Olympic gold medallist German Sailor. Nowadays, the demographic renewal with younger teams, the development of homogenous and dynamic regattas, the relative specialization of Meulan on competition monohull keelboats, the devotion of fleet leaders and club managers, a Club-House, a pleasant environment are so many favourable elements that enable the Cercle de la Voile de Paris to view the future with equanimity.